"Stacy London may have people poo-pooing her choice to sport that infamous grey streak in her beautiful black mane, but if there's one thing the girl gets right, it's fashion. As one half of the dynamic duo that hosts TLC's What Not To Wear, she has helped style-challenged girls across the country look and feel fabulous in gorgeous semi-formal dresses and ensembles. London recently took the time to speak with StyleList.com, and reminded girls that too much of a good thing can often ruin a look. "It's about tone. Also, the one thing that drives me crazy is any trend head-to-toe. You see that with animal prints," she told the news outlet. Girls who are hoping to work an animal print along with their next party dress should remember to these wise words of wisdom. 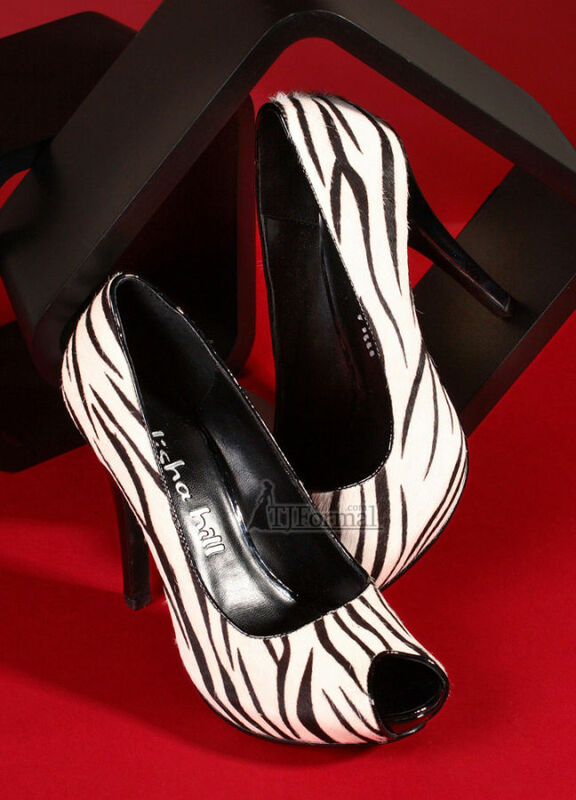 A pair of leopard-print pumps or a cute zebra clutch is sometimes all you need. "An animal-print shirt with a dark leather jacket can look very rocker - a dress with an animal-print cardigan can look very work appropriate. But if you pile it on, it's just going to be a disaster," London told the news outlet."